With the successes of major, Atlanta hip-hop artists such as OutKast, Future and Young Thug among others, Atlanta is undeniably ruling the music scene, in both the mainstream and the underground. But while Atlanta has created and sustained significant labels such as Awful Records (Father, Danger Incorporated, Abra), Manager and Record Executive Coach K (Gucci, Lil Yatchy), and among others, It remains fertile enough to allow a do-it-yourself attitude to flourish. 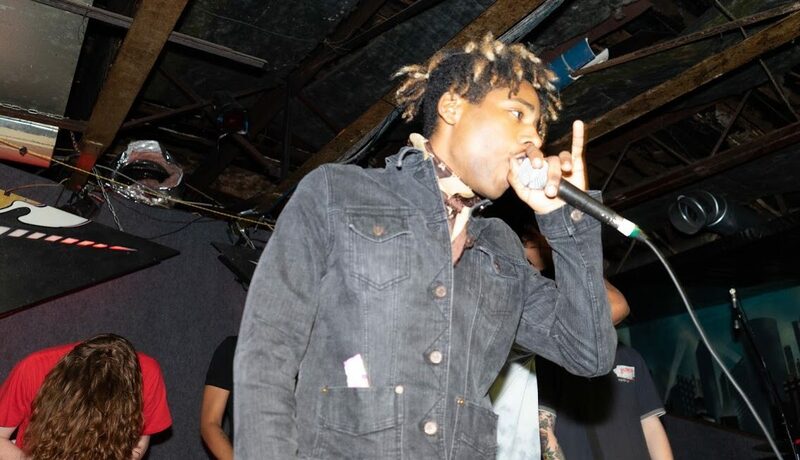 Personifying the do-it-yourself attitude is Drip, South Atlanta rapper making much of his own beats and creating a niche for his style of flex rapping, which is rapping all the beautiful things he has, especially designer clothes and other rare pieces of apparel. Drip loves auto-tune, and he loves jewelry. The Signal caught up with him to see what else he’s into and what’s in his future. From Buffalo, New York, but I been raised in Atlanta since I was 2 years old. How has Atlanta shaped you as an artist? What is “Drip” and how important is it? Drip is more than swag or sauce or juice. It’s a high level of flex whether your style is on 100 or your jewelry just costs more than their whole outfit. Listening to rappers like Lil Wayne. I’ve always had a way with words, even when free-styling. People liked my rapping so I decided to do more. Lil Wayne, he’s a father (an influence to Drip). Chief Keef is a father. Lil Uzi Vert is one of the best in the game. What topics do your songs generally lean towards? My songs are about things I want, things most people want. They’re about my experiences and flexing. I try to be positive, keep people from hating on each other. What are some characteristics you have that sets you apart? What sets me apart is this energy you get when playing my music, it should inspire you. I wear what I want, I try to do what I want, live how I want. Favorite show you’ve played and why? Favorite show was Learn2Love last year. I had live auto tune and the energy was amazing. It made me realize how much I enjoyed performing. How has your sound changed over the years? I’ve changed as an artist by believing and learning. My first recordings I didn’t know much about music. Now I know a lot about my craft and don’t have to rely on engineers or producers, I can do it myself. I learned how to mesh singing with rapping to get a more individual sound. What’s the deal with Johnny the Wookie? Is he your side kick? Tell us about him. Johnny the Wookie is an embodiment of the lifestyle my team lives. He’s got his own thing going, he’s gonna be with every star in Atlanta and he likes designer. Just watch, he’s gonna be wild.